My kids love projects. Painting projects, crafting projects, baking projects... you name it, they want to get into it! And that&apos;s great—as a work-at-home mom, I&apos;m always looking for activities to keep my kids engaged and entertained and quietly occupied. Of course, sometimes I want to join the messy fun too, and then the three of us have the best time ever, getting our project on! What&apos;s the point of working from home, after all, if I can&apos;t take a much-needed coloring break or indulge in a long playground lunch. Today&apos;s project was one I didn&apos;t want to miss. 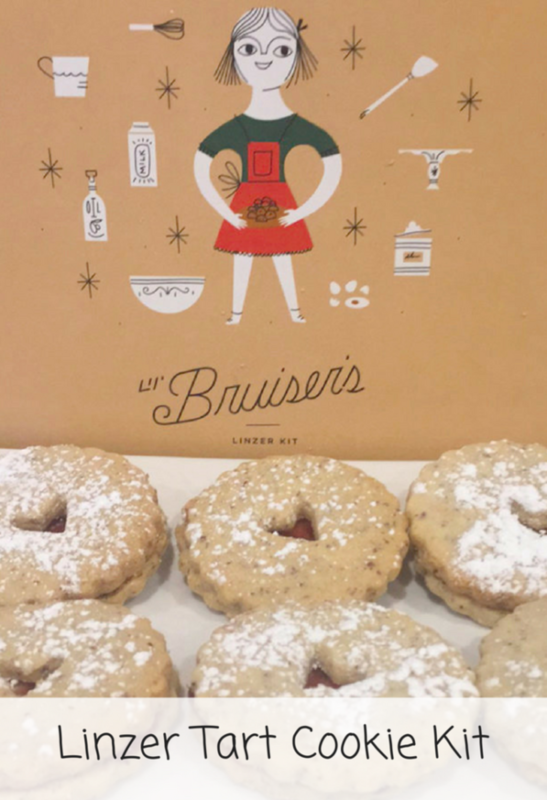 As a longtime Linzer Tart lover and eater, I was instantly sold when I learned bout Lil&apos; Bruisers. It&apos;s a charming kit with all the necessities to assemble your own Linzer Tarts—without actually having to mix and blend and pour and shape and bake. Now that&apos;s my kind of cooking! 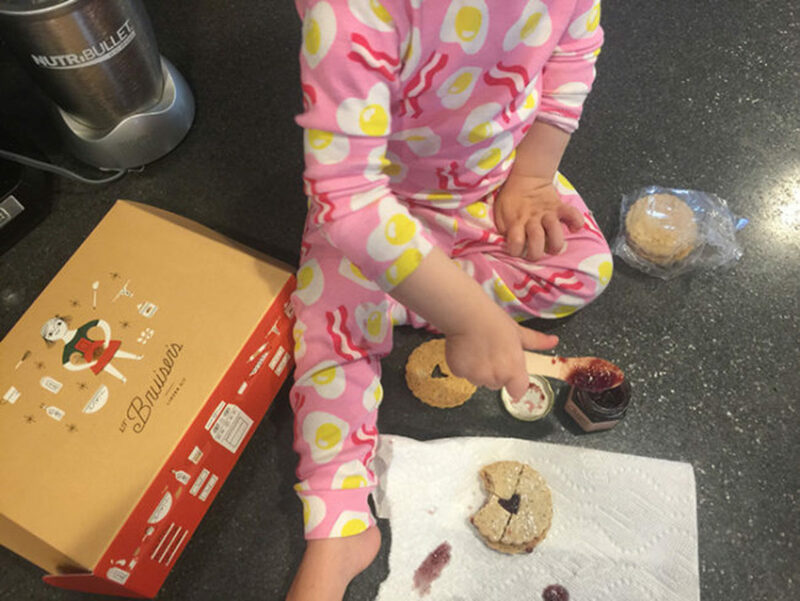 Beautifully presented in a cute retro-chic box, the kit includes twelves delicious pre-home-baked cookies—both fronts and backs—and Baby P and I can attest that they are, indeed, delicious, one jam jar, a wooden knife for spreading jam, and a powdered sugar shaker. My favorite part was the sugar sprinkling—because who wouldn&apos;&apos;t want to make it rain powdered sweetness? 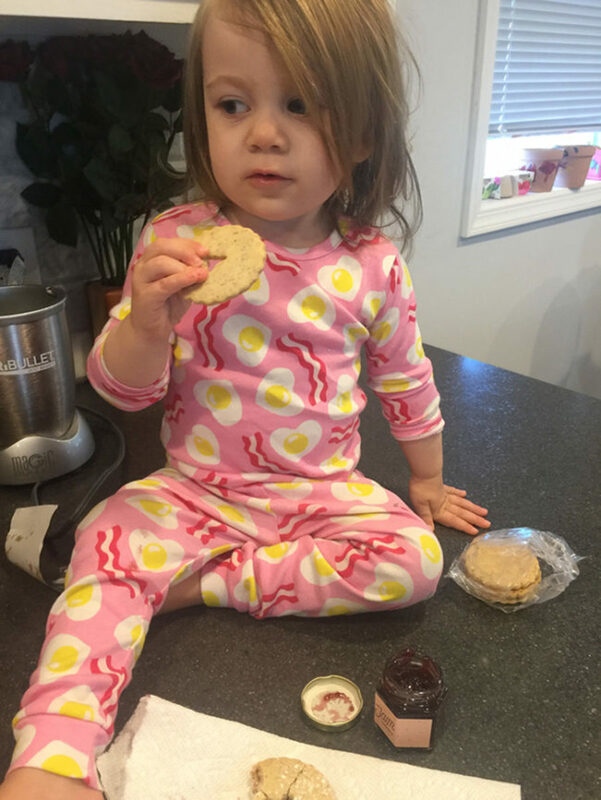 My mini cookie monster really enjoyed all aspects of this morning&apos;s activity—spreading the jam, pouring the sugar, and well, taste testing everything. Unfortunately for my husband (another Linzer Tart aficionoad0), the majority of the ones our own lil&apos; bruiser made didn&apos;t make it to the plate... Eh-hem. 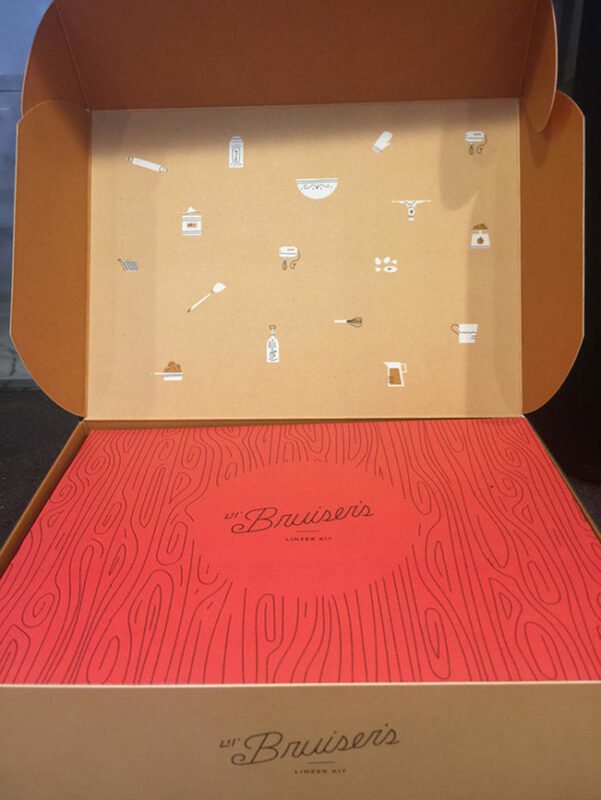 Lil’ Bruiser Linzer Kits are $25 a box, plus shipping and are available at www.lilbruiser.com/. 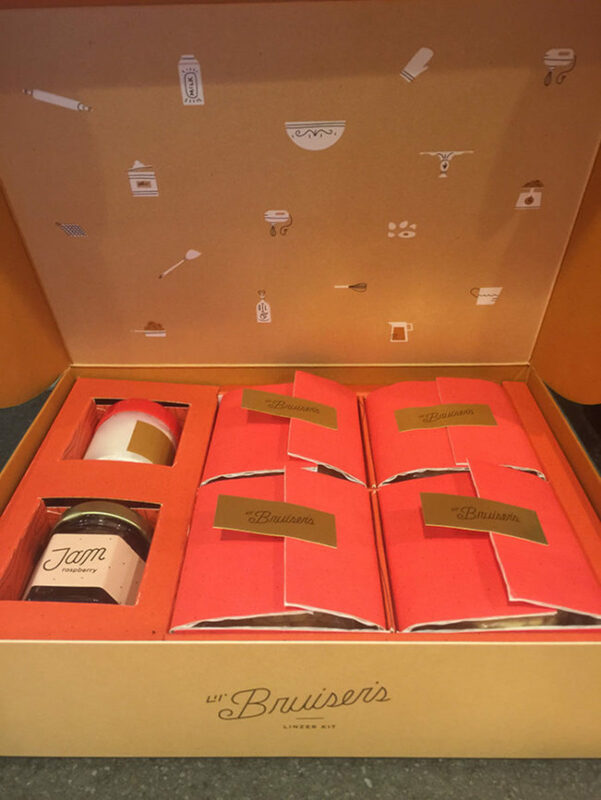 Cookies are baked fresh on demand so orders take about a week to ship.